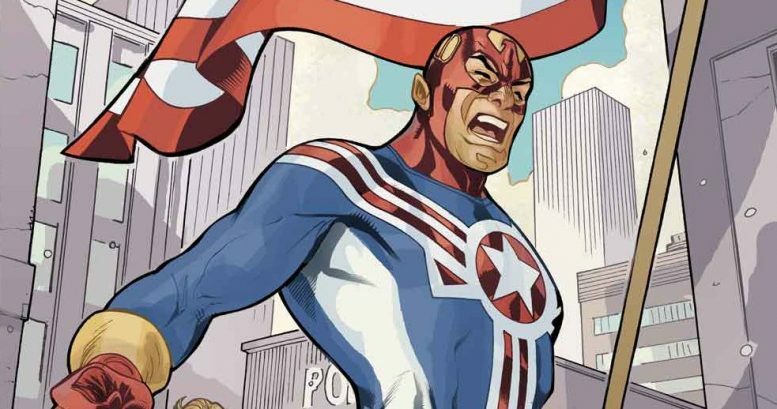 Marvel Comics Legacy & Secret Empire Spoilers & Review: Secret Empire #9 Has Secret Of Vanishing Point Steve Rogers, But Captain America Still A Nazi Hydra?! The march to end continues! 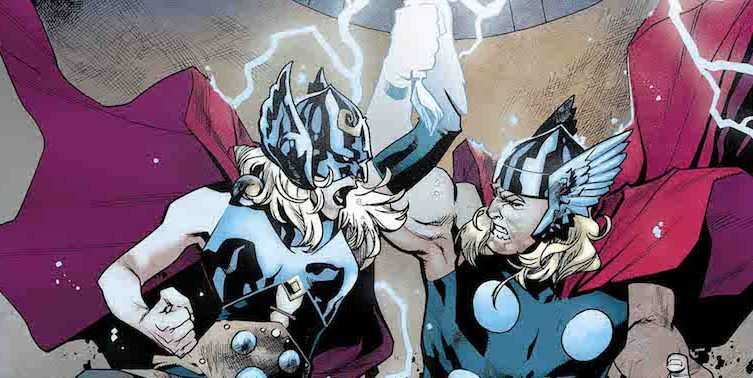 Marvel Comics Legacy & Secret Empire Spoilers: Generations: The Mighty Thor & The Unworthy Thor #1, The Thunder Vs. Apocalypse Via Preview! 1st Appearance Of Avengers 1,000,000 BC? Marvel Comics Legacy Spoilers: Do You Prefer Captain America As A Hydra Nazi In Secret Empire Or As Captain Venom In Venomverse? Can this Cap be redeemed too? 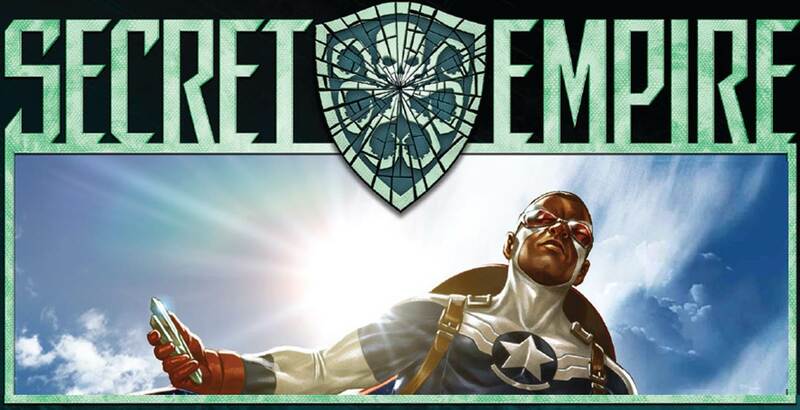 Marvel Comics Legacy & Secret Empire Spoilers: Post Secret Empire #10 Secret Empire Omega #1 Cover Asks “Can Can Captain America Be Redeemed?” All 13 Mark Brooks Covers! 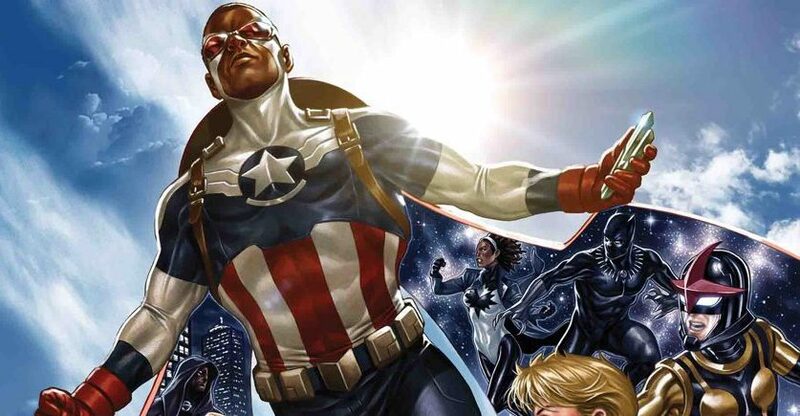 Marvel Comics Legacy & Secret Empire Spoilers: What Captain America Image Does J. Scott Campbell’s Interlock Variant Covers For Secret Empire Depict? Captain Marvel Gets Dumped! 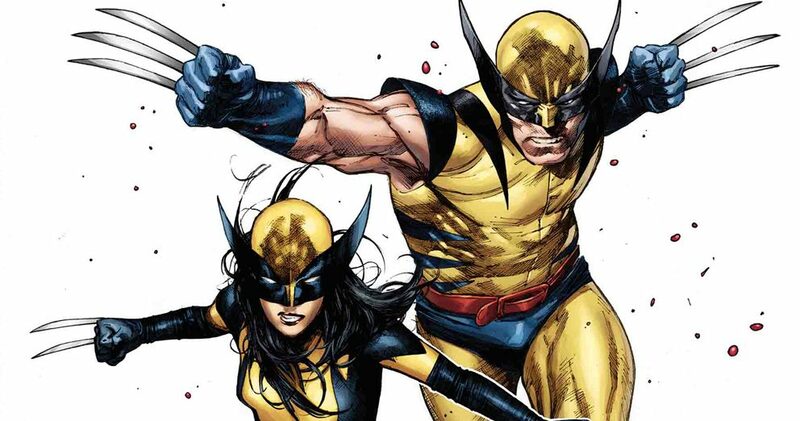 Marvel Comics Legacy Spoilers: Generations: Jean Grey & The Phoenix #1 Has Vanishing Point Shenanigans & Hints At BIG Post Secret Empire Return? 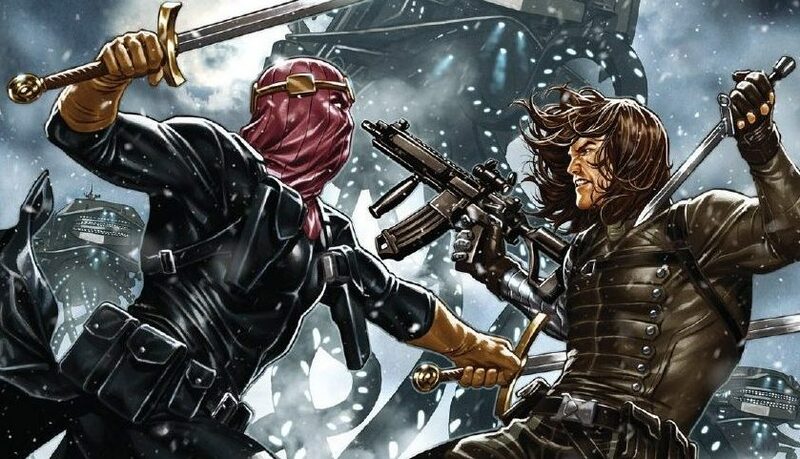 Marvel Comics Legacy & Secret Empire Spoilers: Captain America #25 Explains How The Winter Soldier Returns In Secret Empire #8 & On Secret Empire #9 Cover! Marvel Comics Legacy & Secret Empire Spoilers: Secret Empire #8 Hydra Crumble With Secret Empire #9 Cover Revealed! All 13 Mark Brooks Covers! 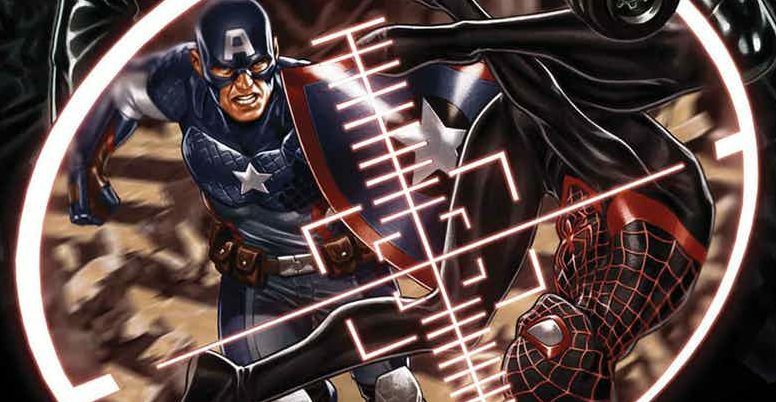 Marvel Comics Legacy & Secret Empire Spoilers: Secret Empire #7 Has Spider-Man Vs. Captain America, A BIG Death, Betrayals, Justifications, A Hero Reborn & More On Road To Secret Empire #8! 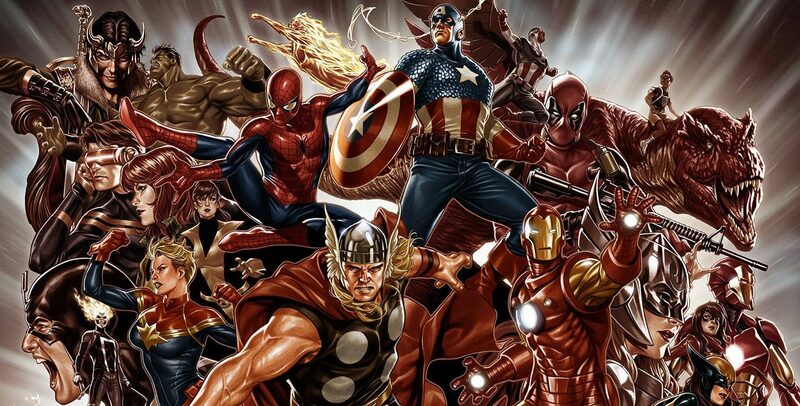 Does Spider-Man vs. Captain America turn out as prophesied? 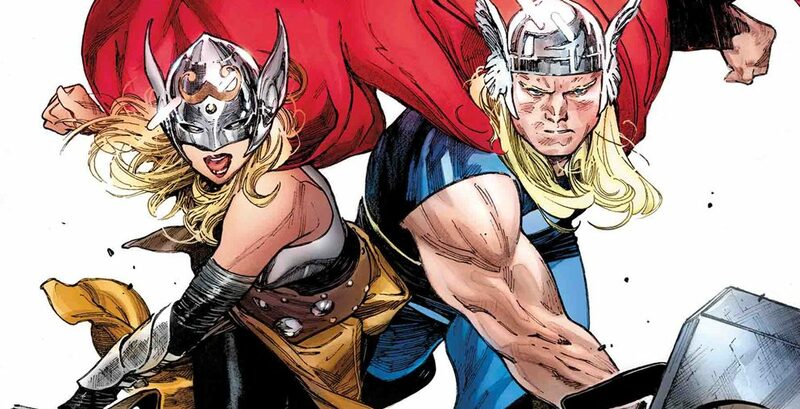 Marvel Comics Legacy Spoilers: Avengers 1,000,000 BC Appears Early In Generations: Unworthy Thor & Mighty Thor #1, The Thunder! What is the Vanishing Point? 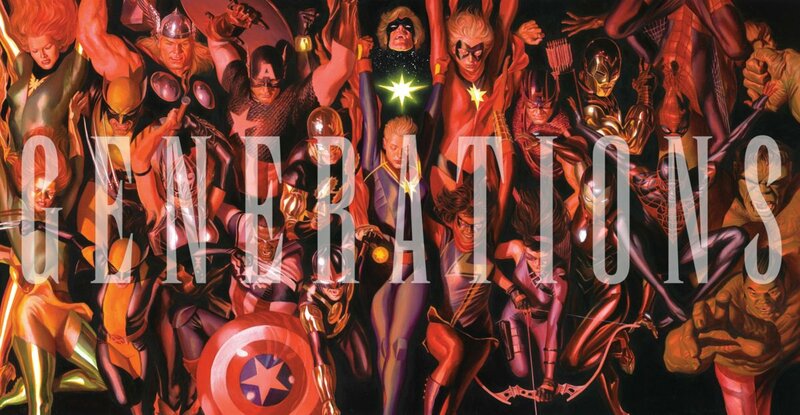 NEW POLL: What 3 Generations One-Shots, Bridging Secret Empire & Marvel Legacy, Are You Most Excited To Read? YOU DECIDE! Vote In Our Latest Poll! 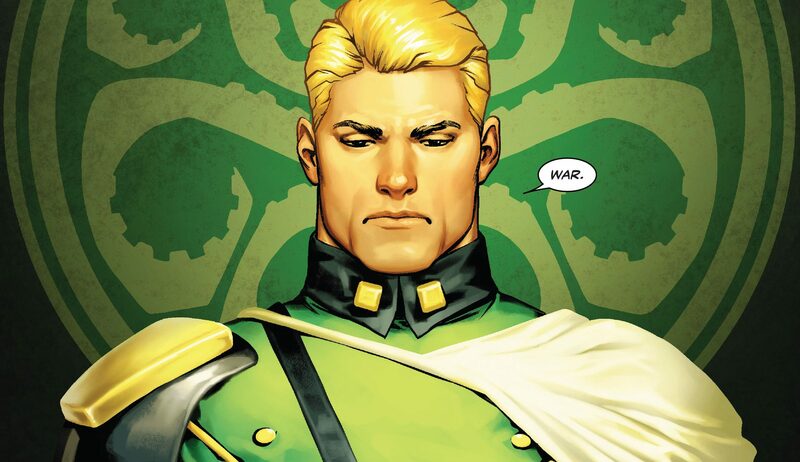 Marvel Comics Legacy & Secret Empire Spoilers: Secret Empire #7 Has Hydra Begin To Crumble With Secret Empire #8 & Secret Empire #9? All 13 Mark Brooks Covers; No Longer A 10-Part Event! And they all fall down? 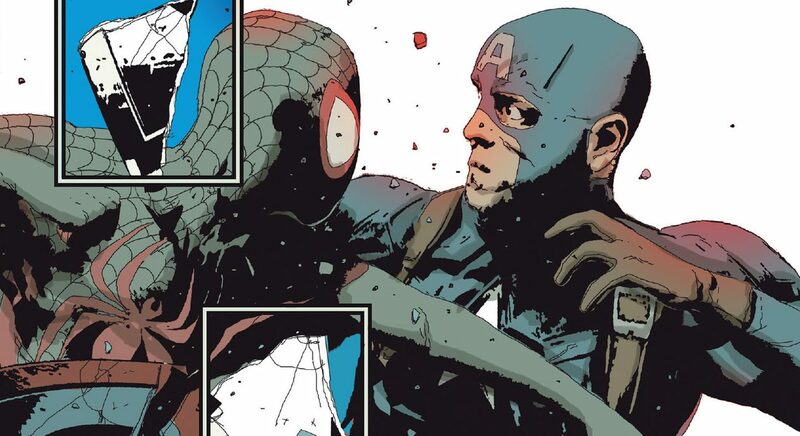 Marvel Comics Legacy & Secret Empire Spoilers: Secret Empire #7 Delivers The Hyped Miles Morales / Spider-Man Vs. Steve Rogers / Captain America Fight? Preview! The much hyped Spider-Man vs. Captain America! 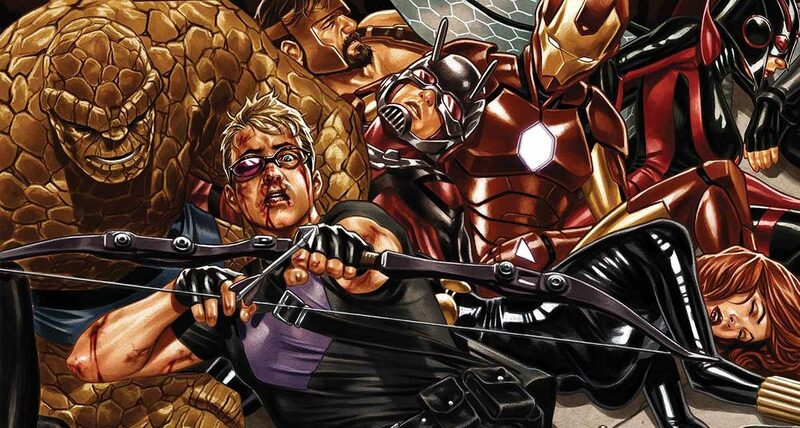 Marvel Comics Legacy & Secret Empire Spoilers: Secret Empire #6 Has Fantastic Four Sighting, 2 Traitors Exposed, Hydra Captain America Vs. Iron Man On Road To Secret Empire #7! 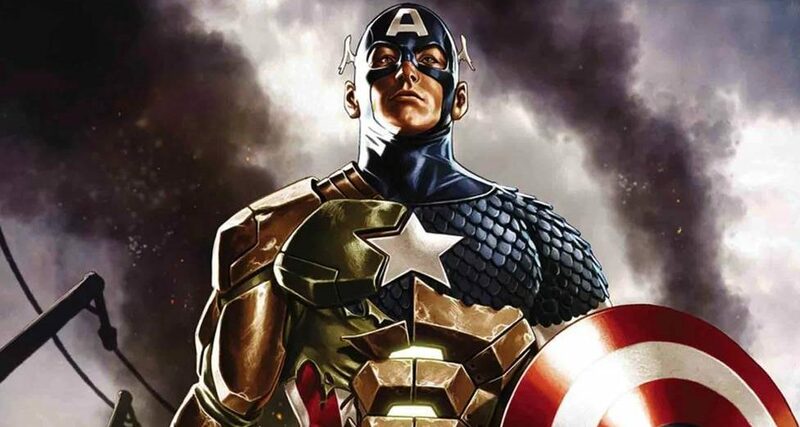 SDCC 2017 & Marvel Comics Legacy Spoilers: Secret Empire #7 Has Spider-Man Vs. Captain America Plus Marvel Legacy #53 Cap Series Creative Team Revealed! UPDATED With Captain America #695 Art! Marvel going in right direction? SDCC 2017 – Marvel Comics Key Panels Schedules With Secret Empire, But NO Generations Or Marvel Legacy? More secrets revealed this week? 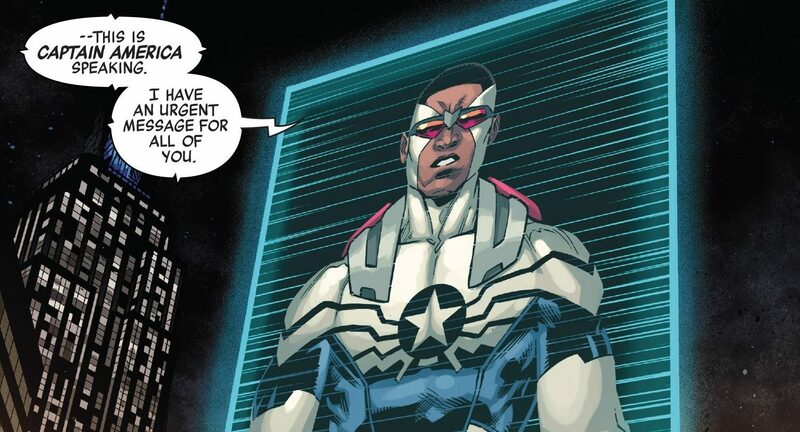 Marvel Comics Spoilers & Review: Secret Empire #5 Has A Major Hero & Major Villain Return! Are They Captain America’s Weapons Or Keys To His & Hydra’s Fall Towards Marvel Legacy? 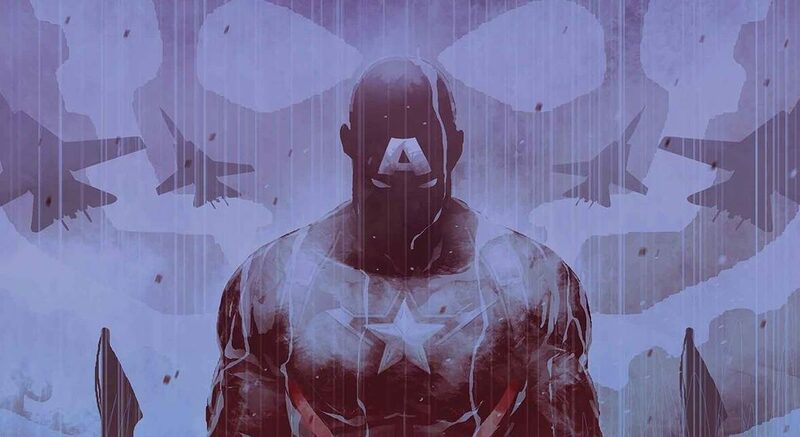 Marvel Comics & Secret Empire Spoilers: Secret Empire #5 Has Captain America Tighten Hydra Grip As Avenger Tortured & Character Teased Via Preview! The march to Legacy continues! Simon & Kirby’s Fighting America Returns To Take Patriotic Mantle From Captain America Who Turned Back On USA In Secret Empire? Titans Comics October 2017 Solicitations Spoilers! 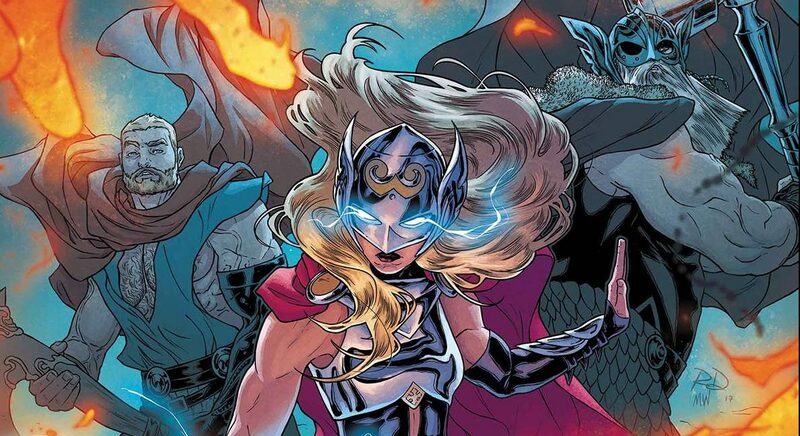 Marvel Comics Legacy Spoilers: 4 Thors As Generations Looms Mid Secret Empire! Marvel Legacy #1 One-Shot News & Mighty Thor #20 Unmasks Ultimate War Thor! 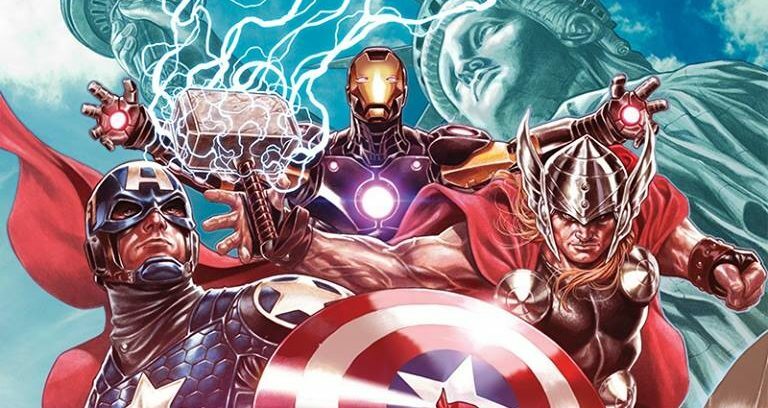 Marvel Comics September 2017 Solicitations Spoilers: Kobik, The Living Cosmic Cube, Key To Secret Empire Omega #1 & Marvel Legacy #1 With Returns Of Classic Captain America, Thor, Iron Man & Hulk? 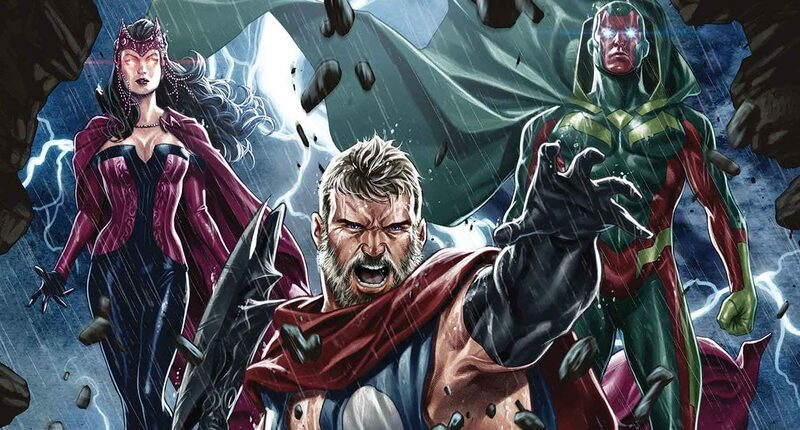 Marvel Comics September 2017 Solicitations Spoilers: One More Extra Secret Empire Finale Issue Makes The Omega Lucky #13? 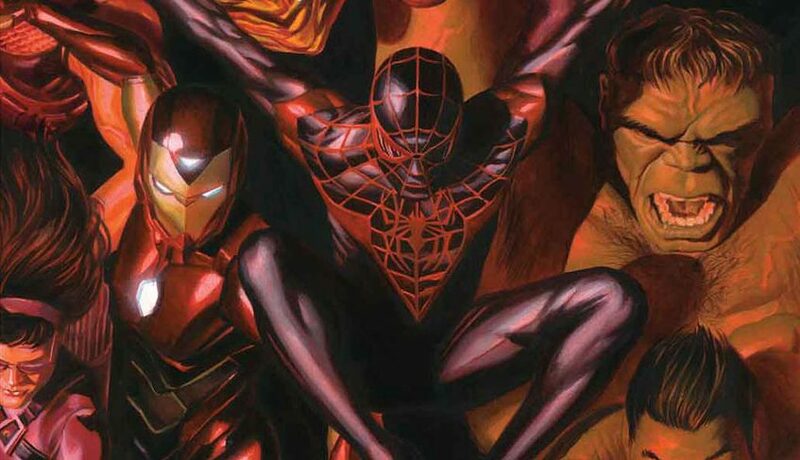 Marvel Comics September 2017 Solicitations Spoilers & July 2017 Preview: Spider-Men II #1 Has 2 Spider-Man & 2 Miles Morales? 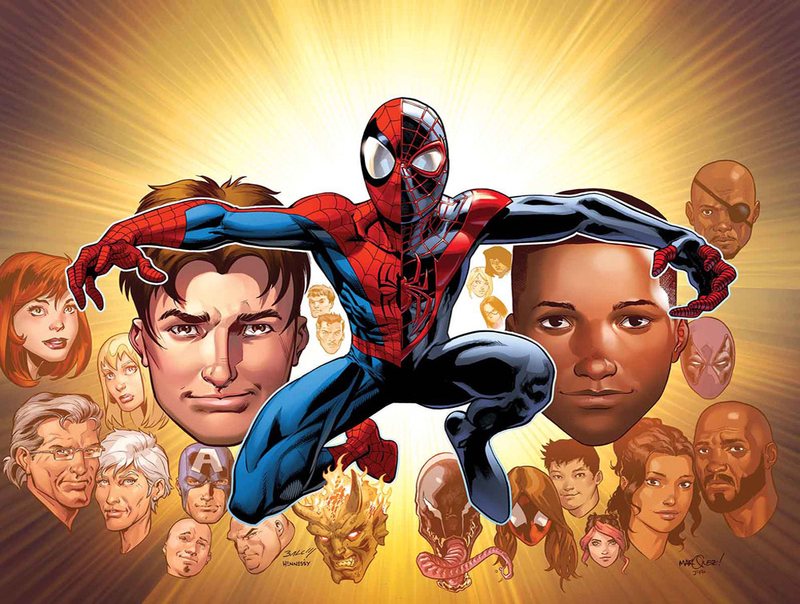 Generations: Spiders #1 Leaves 2 Peter Parker In Marvel Legacy?